A s a bride, one of the most exciting parts of planning a wedding is finding your wedding dress. It’s the one chance many of us will get to spend big on a dress, so it’s worth putting some effort into. Some women would have dreamed of a style or silhouette for a lifetime and some have no idea what they want. No matter what side of the spectrum you are on, make sure you go into the dress hunt with an open mind, information and inspiration! Although you might want to start trying on gowns as soon as possible, it’s always best to do a little bit of research. Lots of factors go into making a dress ‘the one’. Style, fit, availability and cost all come into play when you choose your wedding gown so you’ll be doing yourself a favour by reading up on what dresses are on offer and available to you before you start shopping. Also learn about different silhouettes, fabrics, designers and your body shape to get an idea of what is best for you. 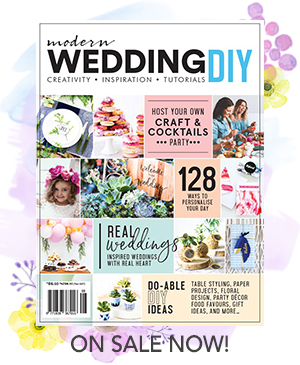 Here at Modern Wedding, we’ve got the latest wedding dress designer collections, our top picks for dress designs and trends, dresses for seasons, themes, style and venues and of a directory of wedding dress designers and retailers that will help guide you toward your perfect dress.